Were you lucky enough to have attended the Taste of Smyrna at the Smyrna Market Village today? 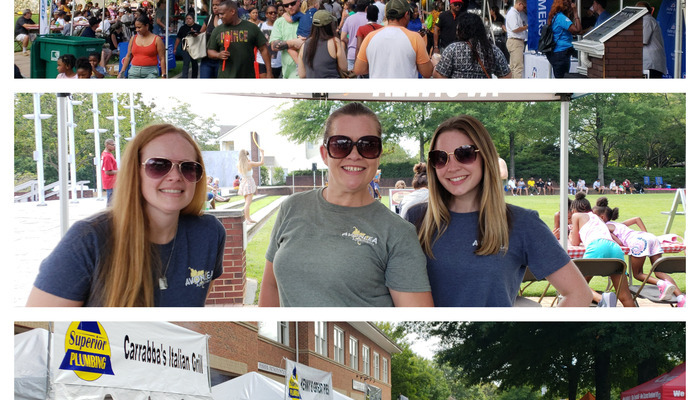 If so, not only were you overwhelmed with the delightful sounds, smell and tastes of all of the restaurants and cuisine in the Smyrna area, but you also got to see our fantastically enthusiastic Avonlea Square team! Smyrna holds a whole host of festivals and activities throughout the year. It is one of the reasons we LOVE Smyrna. Look for our Avonlea teams at events all over the metro area and stop by to say "Hi!". As a resident of Avonlea Square Apartments, you can walk to the festivals, bike over to Sun Trust Park for a game or dinner or maybe take a stroll down to Publix to pick up something to grill in our awesome outdoor kitchen. At Avonlea, life is literally just outside your door!